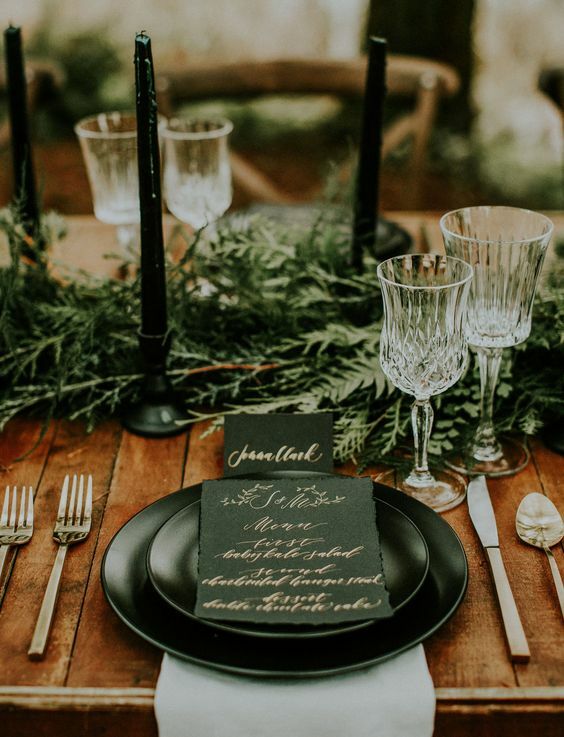 As we prepare to move into our home in hopefully 2 weeks (fingers crossed), I’m already dreaming of the Thanksgiving table we’ll be creating. 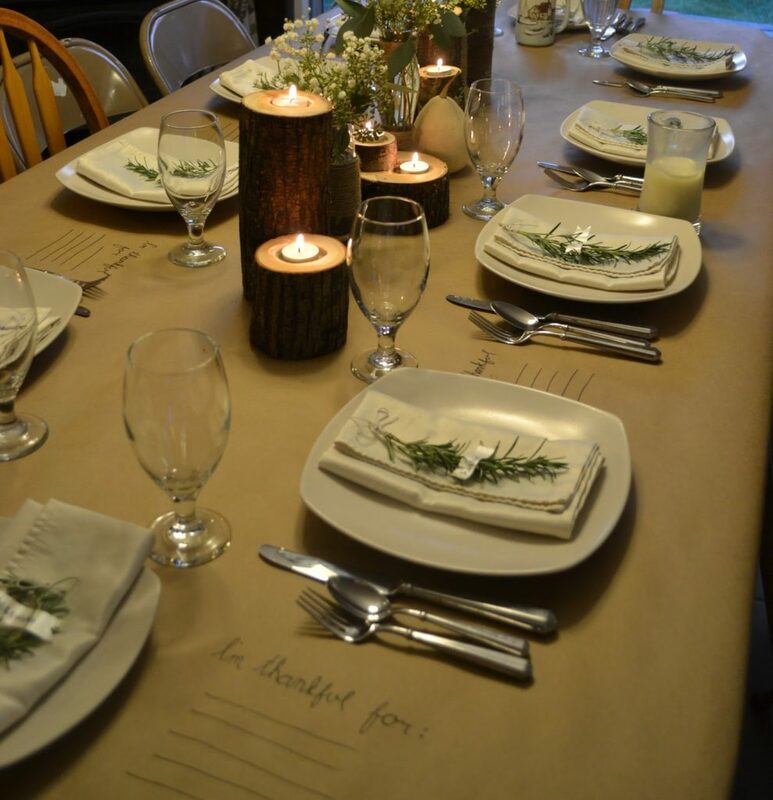 Our table has been away getting a makeover at PNW Farmtables and we can’t wait to welcome it back and gather around it with family and lots of FOOD! 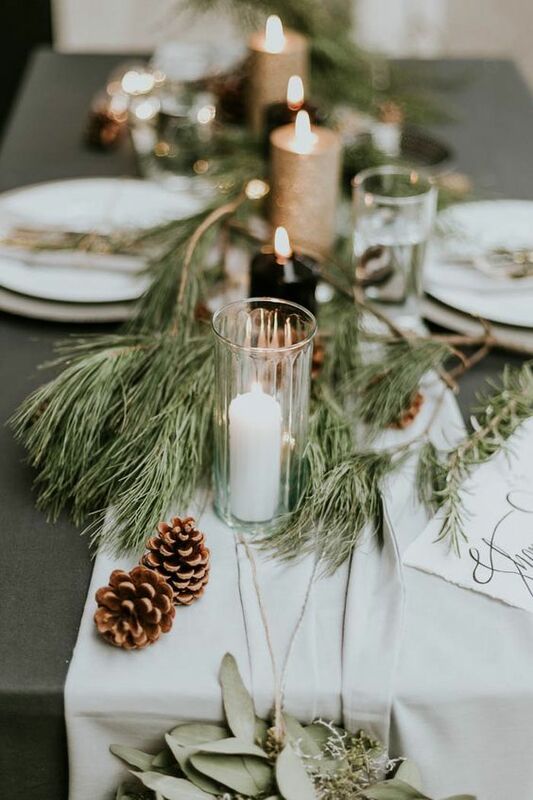 The decorations are going to be simple, mostly foraged from our property, but hopefully very welcoming, cozy and beautiful. Here are a few photos from a tablecape my sister created a few years ago. 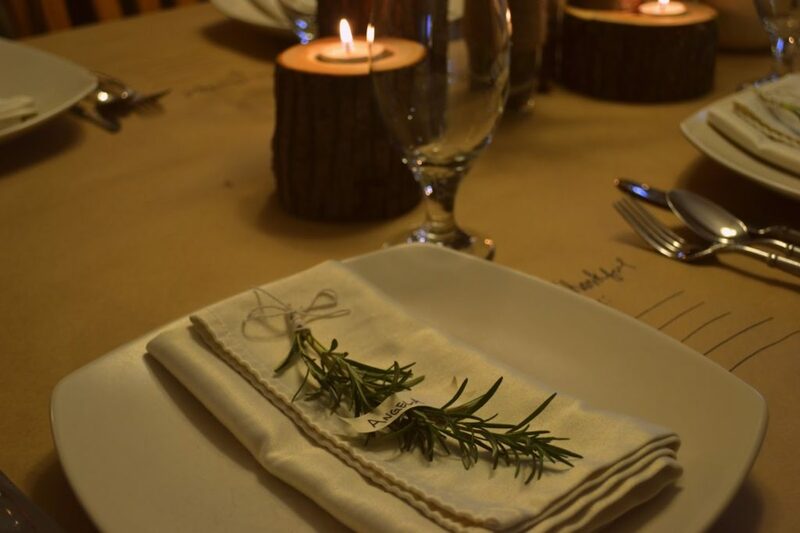 As a very visual person, this table setting was just as special to me as the food was. White candles of all sizes. Thrift stores are a GREAT place to find these and so are Grandma’s houses (hahaha! seriously) or Michael’s with a coupon. Load up on all the sizes for a fun look. Unique slices of logs or other pieces of wood. Most of us know someone with a piece of firewood and a chainsaw. Get brave and ask for some rounds. 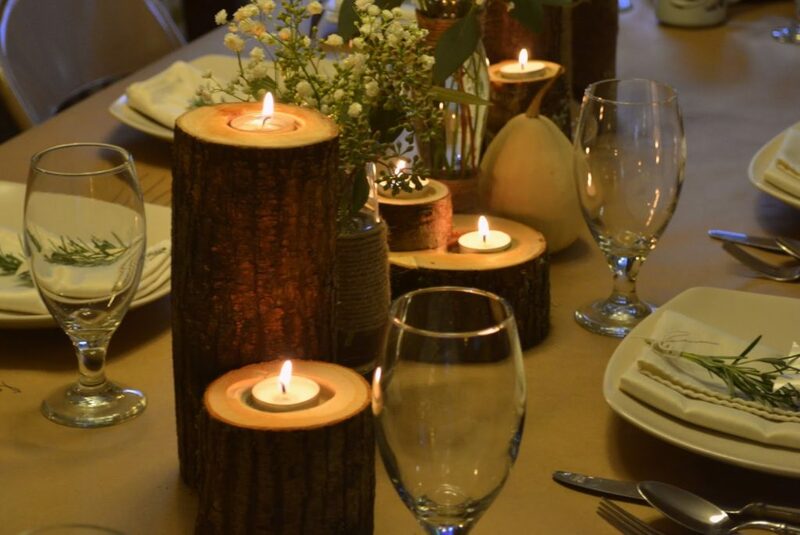 See the candle holders below? My brother in law made those! Whether 1 inch tall, or 8 inches, varying sizes are really fun, as long as you don’t block the view across the table with them. Greenery of all kinds. What do you have outside? Any evergreen branches? How about some rosemary or other natural elements. Mossy sticks can be stunning (just be sure to shake all the bugs off). Go for a walk and look at the elements around you. You’ll see that there’s possibility everywhere. 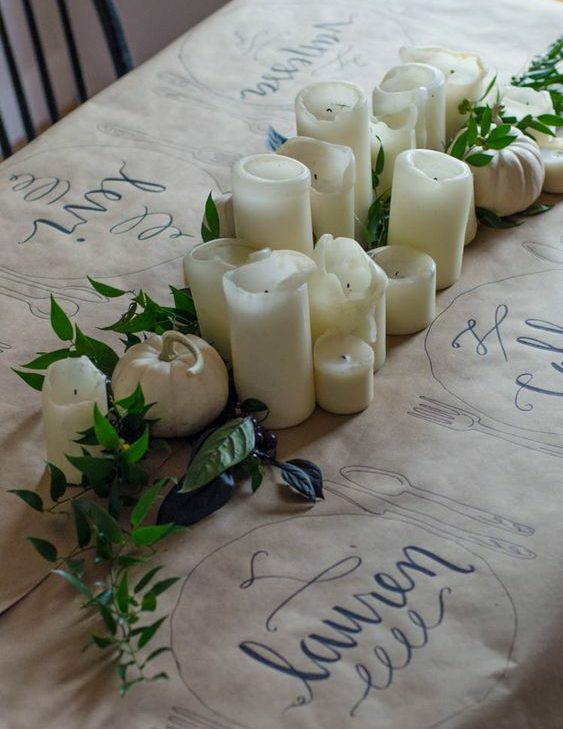 A roll of butcher paper for the table cloth. 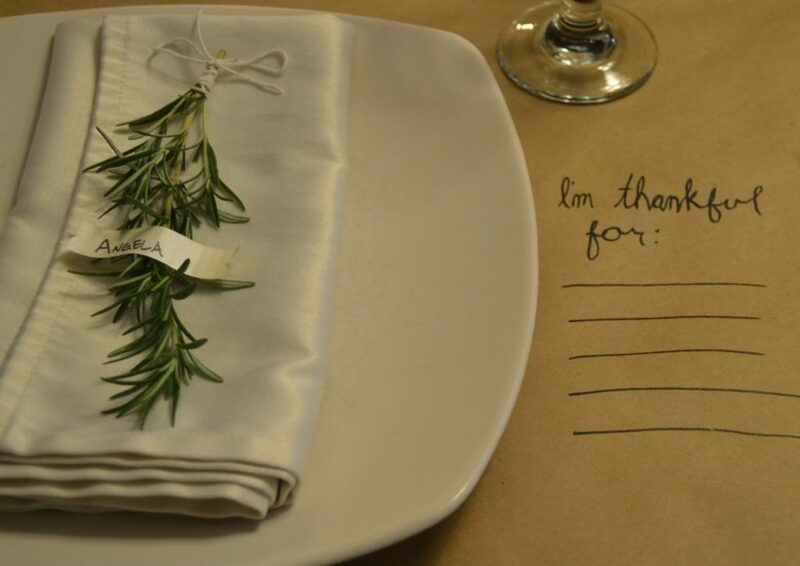 I’ll never forget how my sister covered the table with brown paper and created a spot by each place setting for us to write down what we’re thankful for. This is SUPER GREAT for the kids and the adults, too. 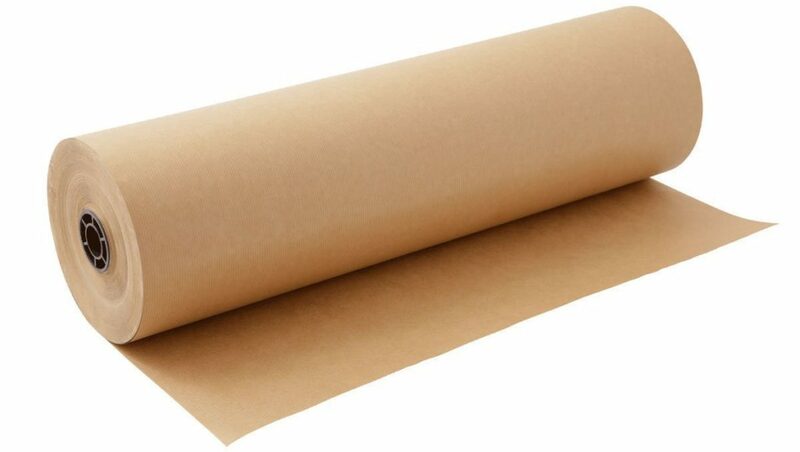 I’m buying this roll from Amazon (shown below) and yes, it’s gigantic, but we’ll also be creating our own wrapping paper with it and using it for a ton of other things, so I think it’s a great deal! Edited: How FUN would white paper be, instead of this brown? I think I’ve changed my mind to do white instead. Ohhhhh! 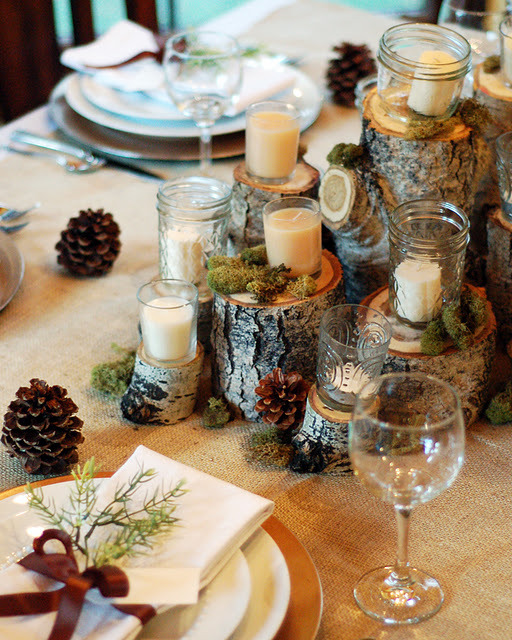 I’d love to hear about how you’re planning to decorate your table! Please share below or be sure to tag me in a photo on Instagram! I am THANKFUL for each of you and that take time out of your day to be part of this space. So much love and gratitude to you!